Our hands and fingers are central to our functionality as human beings. Pick up, put down, throw, catch, write, eat, communicate, create… we use our hand and fingers to carry out thousands of actions every day. They are essential to our daily life. So, if you’re suffering from hand and finger pain, you know just how much it can negatively impact your ability to complete everyday tasks. That’s where Powerball comes in. Spin Powerball at slow speeds to gently repair damaged muscles and tendons and ease the symptoms of hand and finger pain. Spinning Powerball at slow speeds will increase circulation along the entire kinetic chain of your arm, from fingertip to shoulder. Increase circulation and you increase the flow of oxygen-rich nutrients to sore areas, such as painful tendons or joints in the hand and finger. Not only do these nutrients immediately relieve hand and finger pain, but they also begin to repair and rejuvenate any damaged tissue, bringing you one step closer to a healthy and pain-free lifestyle. Powerball’s isometric resistance is 100% non-impact, meaning that it does not place any additional strain on sore or inflamed muscles, joints or tendons. You control your recovery: generate from 1.0lb (0.5kg) up to 35lbs (16kg) depending on how fast you spin Powerball. Whether you’re spinning fast or slow, you can rehabilitate and strengthen without any fear of over-exertion or worsening your condition. Never again suffer from weak grip or hand and finger pain – pick up a Powerball today and we promise, you’ll thank us later. As your hand and finger pain begins to fade, you can gradually start to increase your Powerball spin speed. Spinning Powerball at higher speeds provides effective hand and finger strengthening even while you are in recovery. Regular strength training with Powerball will allow you to maintain muscle mass and joint health and in turn, prevent hand and finger pain from returning in the future. 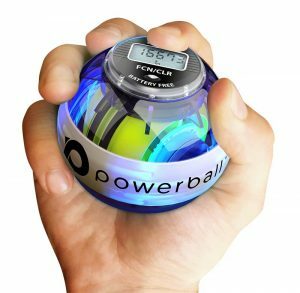 Massively increase forearm power and finger grip strength – with Powerball you can enjoy strong and healthy limbs that have no time for weakness or pain. Change the way you think about rehabilitation – all it takes is 3 minutes a day to see the incredible benefits that come with spinning a Powerball. 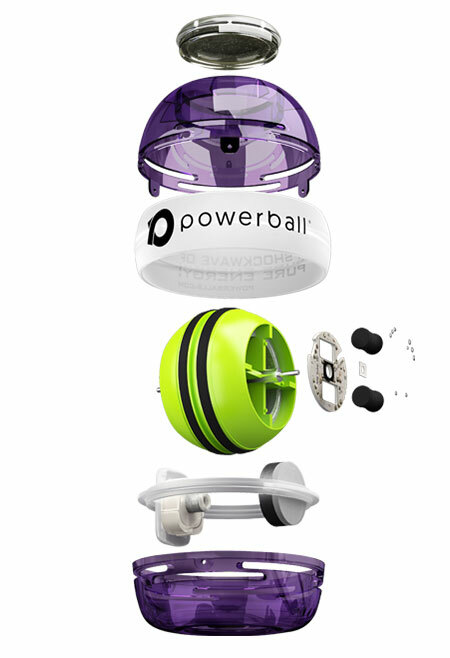 Pick up a Powerball, wind back the rotor, release and spin – it’s that simple. 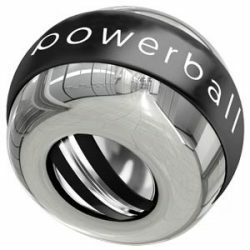 Powerball is easy to start and you can use it even if you are suffering from severe hand or finger pain. Our range of Autostart Powerball models need only be wound back a couple of times and released to get them started. You can also roll an Autostart model across a hard surface, such as a table to activate it. What’s more, Powerball requires very little effort to spin it. If hand or finger pain is preventing you from fully bending your fingers, you can still effectively exercise with Powerball using only a light grip. Watch the video below to see just how easy it is to start Autostart Powerball. Check out the range of models available in our online store and find the perfect Powerball model for you. Eliminate hand and finger pain for good with Powerball – the power is in your hands. What causes hand and finger pain? There are a variety of reasons why someone might experience hand and/or finger pain. As there are no substantial muscles in your hands or fingers, all finger grip strength and hand mobility stems directly from two powerful forearm muscles: the flexor and extensor muscles. The flexor and extensor muscles are skeletal muscles, meaning they are directly attached to bone by tendons and are voluntarily controlled. Flexor muscles are engaged when you bend or ‘flex’ your joints. For example, when you make a fist, the flexor muscles contract and pull on the bones in your fingers, causing the joints to bend. The extensor muscles serve the opposite function. When the extensor muscles contract, they cause the joints in your fingers to extend and straighten out again. Hand and finger pain can occur when the tendons which connect the flexor and extensor muscles to bone become torn or damaged. These tendons can become damaged as a result of overuse, a deep skin cut or an impact injury. Weak finger grip strength? Usually the sign of a weak flexor muscle. Shooting pain when shaking hands or gripping? The tendons connecting the flexor muscle to the elbow or finger joint may be inflamed. Pain when straightening or extending your fingers/hands? Possibly a weak extensor muscle. Pain when bending your fingers? The band of tissue that holds the flexor to the bone becomes swollen (also known as “trigger finger”). RSI causing hand or finger pain? Overuse injuries, such as RSI (repetitive strain injuries) are another common cause of hand and finger pain. RSI develop when tendons, ligaments or muscles become strained from overuse, resulting in swelling or inflammation. RSI can often be very painful, because any such swelling can infringe on a nerve and cause in pain when moving. Overuse is generally caused by activities involving constant repetitive movements, such as typing, using a computer mouse, driving or playing an instrument. 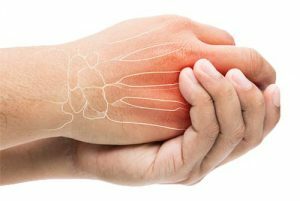 Common types of RSI like carpal tunnel syndrome and tendonitis can have a serious impact on everyday life if left untreated and may even affect your ability to carry out simple, daily tasks. Rest – Taking a break and resting your hand/finger is important as it gives the injury time to heal and recover. Stretching – Your doctor or physio may recommend certain hand and finger strengthening exercises that you can do to stretch out any damaged muscles or tendons and encourage them to heal. Powerball exercise is even more beneficial when supplemented with regular stretching and finger strengthening exercises. These help to loosen out any tight muscles or tendons and increase circulation to sore joints. Avoid possible causes – It is important to identify and avoid any actions which may have caused your hand or finger pain or condition. Continuing these actions during your recovery may only serve to worsen your condition and extend recovery times. Seek medical advice – If you are suffering from severe hand or finger pain, or your condition does not improve after regular strength training with Powerball, it may be necessary that you visit your doctor or physical therapist. They will ensure that you are not suffering from any underlying condition and can advise you on another treatment option, such as steroid injections or surgery. Powerball is a physician-approved product that will help you maintain muscle and joint health and eliminate hand and finger pain, now and forever. Every Powerball is fitted with a lifetime warranty so you can always keep yourself in top shape – from fingertip to shoulder. Choose your perfect Powerball from our store and get spinning today.